This post will show you how to recover files from corrupted CF (compact flash) card using free memory card recovery software. 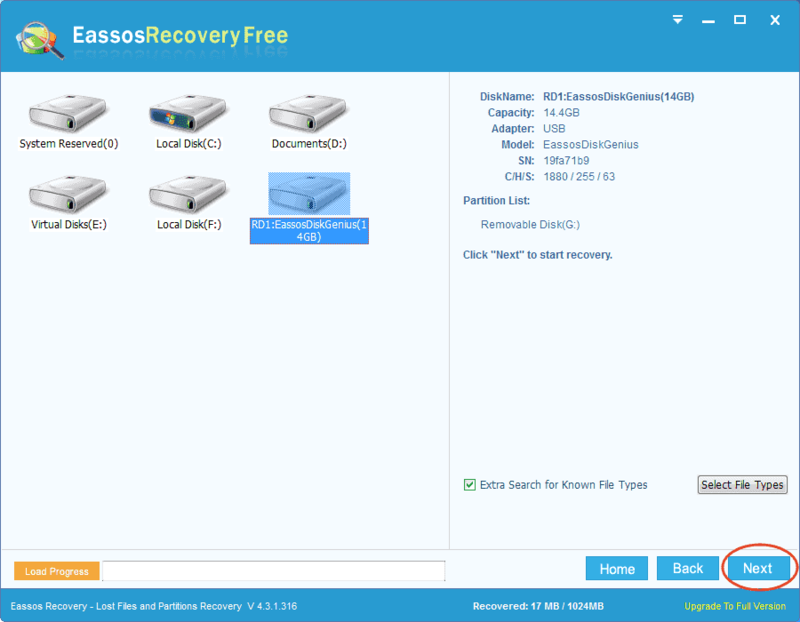 Free download and install Eassos data recovery software and perform CF card recovery now! Living in such a world where digital products are ubiquitous, people are not strange to digital camera and CF card. CF card is the short form of Compact Flash card which is a kind of mass storage device. It is often used in various digital products such as digital camera, digital camcorder, MP4, MP3, PDA, PSD, etc. CF card has always been the one of the major choice of many digital machines since it was first produced by SanDisk. It usually comes with large capacity, good compatibility and fast read-write speed, which makes it largely demanded by today’s market. CF card is extensively used, and data loss problem happens frequently, thus CF card recovery is needed. Many users lose files from CF card due to different reasons. CF card may get damaged and prompting error message “memory card error” when it is inserted to digital camera. There are also situations that users delete or format data accidentally. Furthermore, just like other memory cards, CF card may be corrupted because of a sudden power-off as well as abrupt pulling out when the digital device is still working. Corrupted memory card turns inaccessible and files are lost. Then data loss happens, never be panic or despair. Because you have a good chance to achieve CF card data recovery and free data recovery software will come to rescue. Why is CF card data recovery possible? In fact, the deletion of files off memory card doesn’t mean permanent erasing data. You just remove the entry which is similar to the catalogue of a book. Files themselves are still on the card before being overwritten. The formatting of compact flash card follows the same principle. The corruption of memory card or flash drive is usually the result of file system damage, which doesn’t really wipe data too. 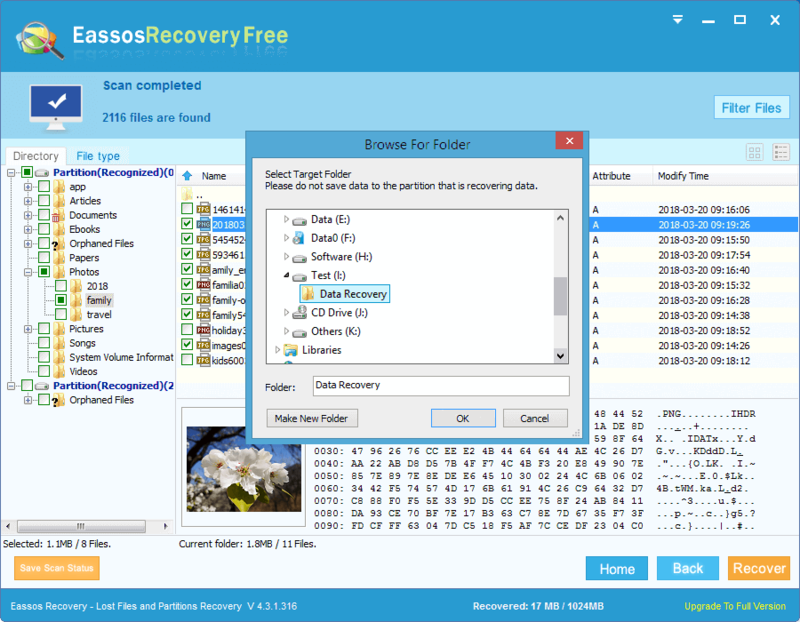 Eassos Recovery is popular recovery software for memory card, SD card and CF card recovery. Everyone can easily operate this compact flash card recovery software to restore lost files from corrupted CF card. Here are details of recovery process. 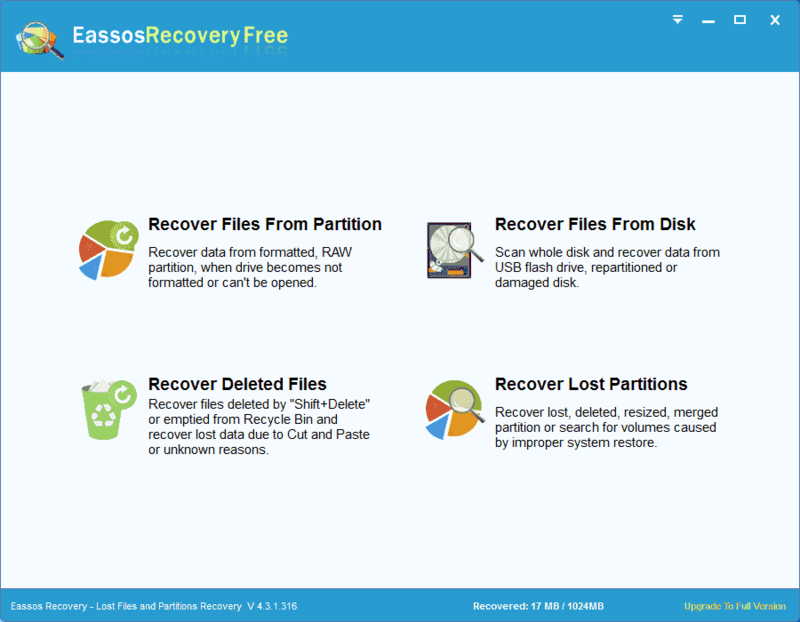 Step 1: Download and install Eassos Recovery to your computer or laptop. Step 2: Connect the CF card to computer and then you can see it in My Computer as a removable device. Step 3: Set up this recovery software and select correct recovery feature. Step 4: Select this Compact Flash card and click “Next” to start file scanning. Preview files and check if files can be recovered correctly. Step 5: After scanning, you can save recovered files to anywhere secure expect the memory card being recovered. 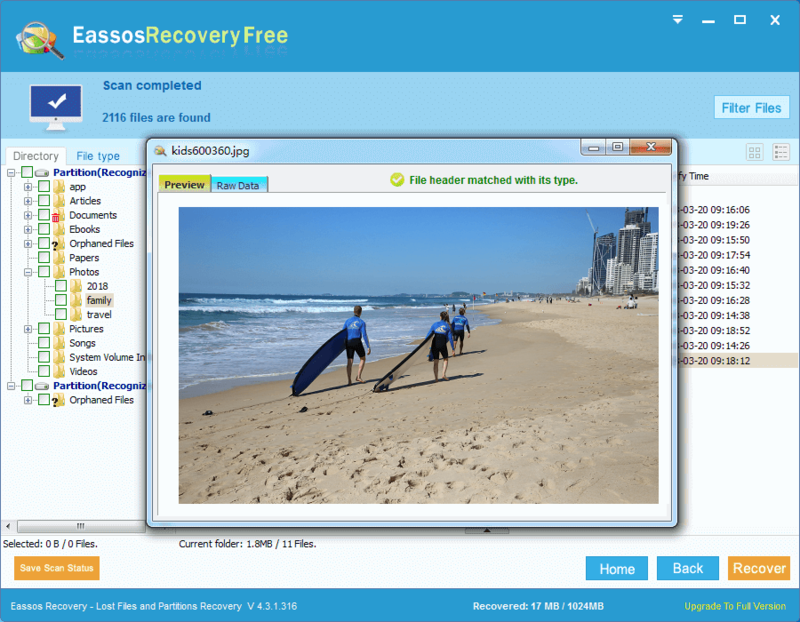 This entry was posted in Data Recovery and tagged CF card data recovery, CF card recovery, free data recovery software by EASSOS. Bookmark the permalink.